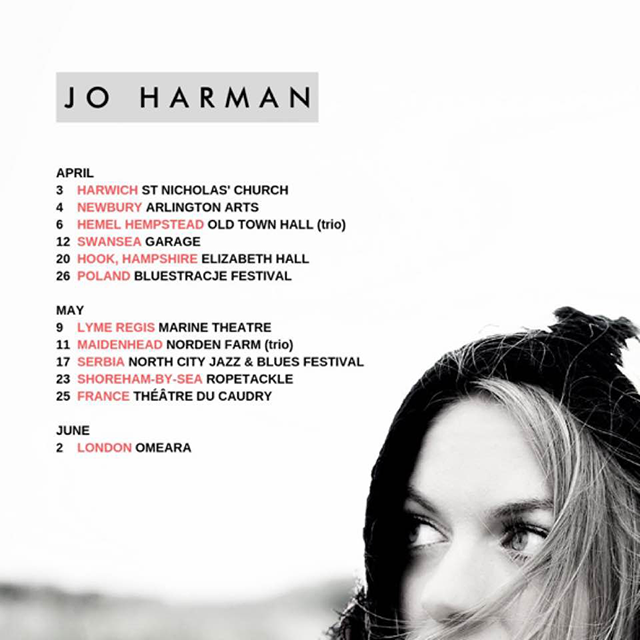 Jo undertakes a selective Spring Tour which includes Festival appearances in places as far flung as Serbia, Poland, France and of course, the UK, finishing with a London show at Omeara on 2nd June. Moreover, Jazz Royalty Orphy Robinson MBE has persuaded her to appear on 6th July as special guest vocalist for the 50 years celebration of Van Morrison’s ‘Astral Weeks’ project at this years ‘Love Supreme’ Festival. 6th July Love Supreme Festival – Jo special guest vocalist for Orphy Robinson’s ‘Astral Weeks’ 50 years Celebration.